With its capable suspension, excellent powertrain and standard room for nine, the Suburban remains one of the best family-haulers available anywhere. Add Quadrasteer and the Suburban becomes an excellent tow vehicle, as well. 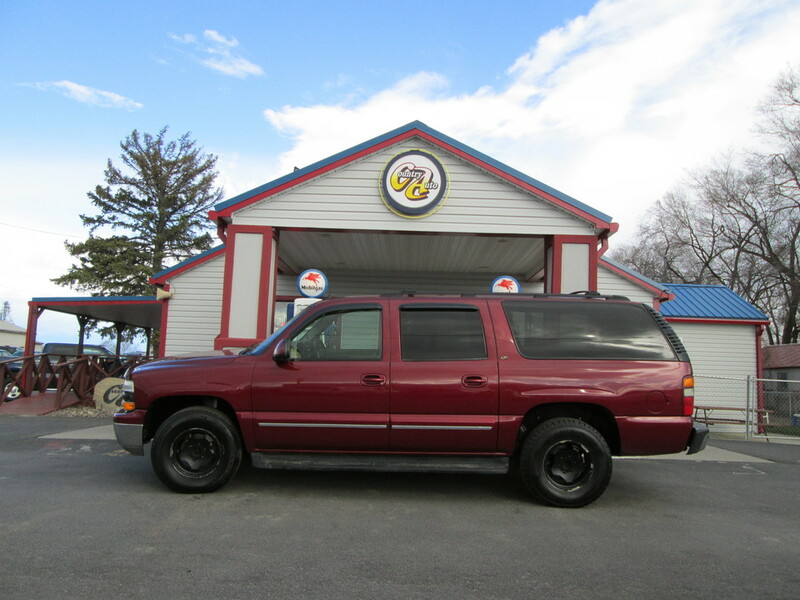 The Suburban gets numerous functional enhancements for 2003. The Quadrasteer four-wheel steering system is now available on 3/4-ton models for increased maneuverability and better stability when towing, while 1/2-ton versions now offer the StabiliTrak stability control system. New power heated mirrors feature puddle lamps, in-glass turn signal indicators and a memory function, and extendable power camper mirrors are optional. The interior gets numerous upgrades that include tri-zone climate control, an enhanced driver-information center, a redesigned center console and options such as second-row captain's chairs and adjustable pedals. A revised lineup of entertainment options includes a Bose audio system as well as XM Satellite Radio and a DVD-based entertainment system. For increased safety, the Suburban now features a standard front-passenger-sensing system and dual-stage airbags. Choice of powerful V8 engines, Quadrasteer four-wheel steering system, cavernous cargo space, room for nine.